Looking for something scary to do this Halloween? 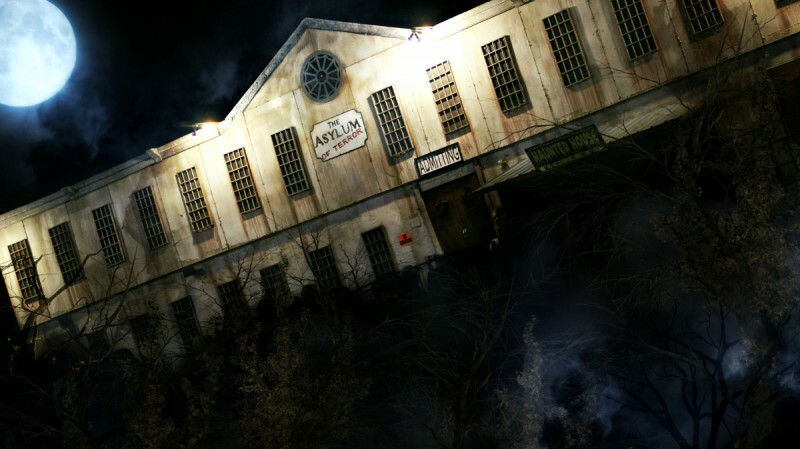 With this haunted attraction roundup, we put together some of the scariest attractions in the country. Don’t believe us? Take a look at some of these creepy places for yourself. Have you ever walked through a haunted house with a group of friends? Still terrifying right? Now imagine having to do it alone. That’s exactly what the Blackout Haunted House is all about. You must be over 18 to participate and you must be willing to do it alone. Now this one is definitely for the bravest of the brave because you can definitely believe this will be a terrifying experience you’ll never forget. The best part is that it’s also available in Los Angeles. 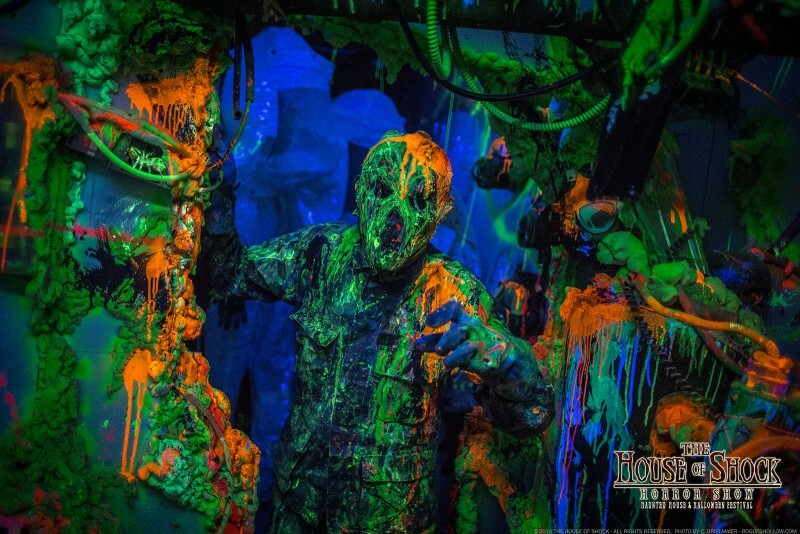 This haunted house has quickly become one of the top haunted houses in America. It’s approximately a 20 min. the experience that takes you around 5,000 square feet of horror-filled rooms and corridors “designed to maximize one’s fears”. You can definitely expect to feel fear, being that it’s not recommended for children under 14. Now, this is definitely an experience to look forward to if you’re into the paranormal activity type of thing. 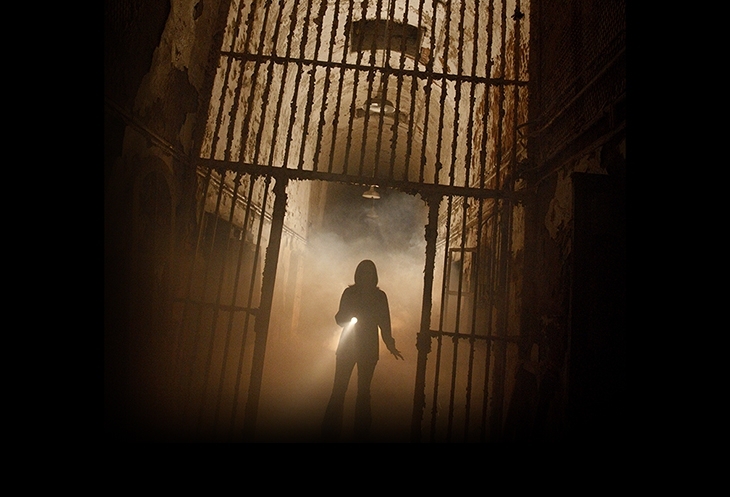 This attraction is held at the Eastern State Penitentiary that is believed to be haunted. Many have gone to test out the paranormal activity in the location, and there have been many ghost sightings too. So even though you’ll know most of what you see are props and actors, don’t be surprised if you see something out of the ordinary that isn’t staged, such as a ghost. This haunted play is supposed to be the “the single best horror event in LA,” according to Fangoria. It’s a theatrical interactive experience where you literally get to be a part of the play. It’s like being in a scary movie, but it all depends on how much you put into it too. You have to be willing to let go to experience the full effect. This is considered Las Vegas’ #1 haunted attraction. Asylums and hotels have always been the scariest of places, so I’m sure this Asylum and Hotel Fear won’t be any different. Filled with crazy patients, doctor of electroshock and much more, I’m sure it wouldn’t disappoint. New Orleans is already known for its spooky voodoo history, so what better place than New Orleans to go to a haunted attraction? The House of Shock is a popular haunted attraction in its area. Not only does it have a scary haunted house, but it’s also a festival with live entertainment and food. These are only a few of the many around the U.S., so if none are near you, there’s sure to be other great attractions nearby! If you’re lucky enough to experience one of them, then be sure to let us know what you thought! Previous Post: « How Does My Student Loan and Bad Credit Affect My Score?